* The meeting of 13 Feb is moving to the Rotary Charity Theatre Night at Cronulla Arts theatre. There will not be a meeting at Kareela. Rotary Club of Sutherland meets every Wednesday for Dinner at the Kareela Golf Club. Please see our "Contact Us" page under "About" in the menu for our full contact details, incl mail address. Please do not send mail to our meeting venue (it is not their job). Our meeting does include a meal, alternate serves after 6.30pm. Join us. RSVP for member apologies or to book in guests (if at all possible) for regular Wed meetings is 11am on the Tuesday. Either email to rsvp@sutherlandrotary.org.au or SMS to Graham T.
The Rotary Club of Sutherland is a proud member of Rotary District 9675. The District encompasses Sydney City, Sydney south of the Parramatta River & surrounds, including the Macarthur and the Illawarra regions. 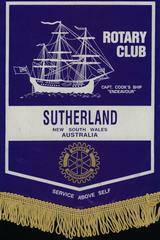 Our Club is one of six Rotary Clubs in the Sutherland Shire, located on Sydney's southern outskirts, historically significant as the 'birthplace of modern Australia' from the landing of Captain Cook at Kurnell in 1770. 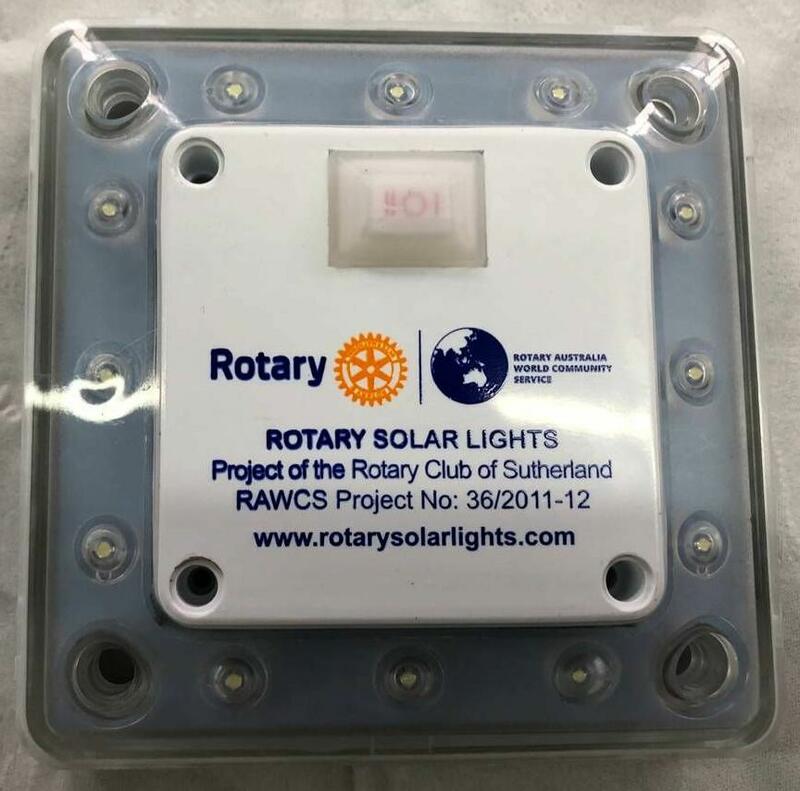 These replace dangerous kerosene lamps and open fires or expensive diesel for generators in 3rd world countries with small LED light packs recharged by a built-in solar panel. The lights can be clipped together to make larger panels. Note: This is RAWCS Project Number 36 / 2011-12. RAWCS is 'Rotary Australia World Community Service'. For only $70 for Sydney and Surrounds edition (and other areas available and prices vary, eg South Coast is $60, Greater Western Sydney is $65). Entertainment™ Memberships are packed with hundreds of up to 50% off and 2-for-1 offers for the best local restaurants, cafés, attractions, hotel accommodation, travel, and much more! Preview the Sydney book's contents here. 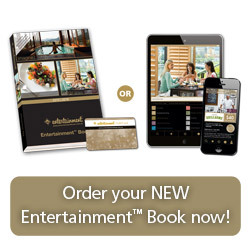 Available as a traditional Entertainment™ Book -or- Digital Membership on your smartphone, your Membership gives you over $20,000 worth of valuable offers valid through to 1 June 2019. We do not have any more stock of actual books at our pick-up location, but you can still order digital downloads via our web page below. Copyright 2019 the website of the Rotary Club of Sutherland. All rights reserved.